Secretary to the Rivers State Government, Mr. Kenneth Kobani and another politician, Mr. Samuel Okposo were docked today in Port Harcourt for a six-count charge of money laundering. The amount involved was N750million, part of the $115million pilfered from the treasury by former oil minister, Diezani Alison Madueke. All the three men appeared before Justice B. Bilikisu of the Federal High Court, sitting in Port Harcourt, Rivers State. According to the Economic and Financial Crimes Commission, the accused collected the money from the Garrison branch of a new generation bank in Port Harcourt, Rivers State on the eve of the 2015 general elections . The money was part of the infamous $115million Diezani Alison- Madueke cash deployed to bribe many politicians and officials of the Independent National Electoral Commission, INEC to influence the outcome of the 2015 presidential election . Count one of the charge read: ”That you Samuel Johnson Okposo on or about the 27th day of March, 2015 in Port Harcourt, within the jurisdiction of this court, did conspire and aid other persons yet to be charged, to acquire and take possession and control of the sum of Seven Hundred Million Naira( N700,000,000.00) from Fidelity Bank location Garrison, Port Harcourt, reasonably knowing and or ought to have known that such fund or property forms part of the proceeds of an unlawful act, and thereby committed an offence contrary to Section 18(a) and punishable under section 15( 3) of the Money Laundering ( Prohibition) Act 2011 as amended”. 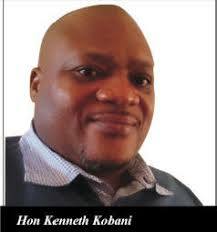 Count two of the charge read: “That you Kenneth Kobani on or about the 27th day of March, 2015 in Port Harcourt, within the jurisdiction of this court, did conspire and aid other persons yet to be charged, to acquire and take possession and control of the sum of Fifty Million Naira( N50, 000,000.00) from Fidelity Bank location Garrison, Port Harcourt, reasonably knowing and or ought to have known that such fund or property forms part of the proceeds of an unlawful act, and thereby committed an offence contrary to Section 18(a) and punishable under section 15( 3) of the Money Laundering ( Prohibition) Act 2011 as amended”. Prosecution counsel, C.A. Okoli told the court that he was ready for trial and prayed that the defendants be remanded in prison custody. However, the lead defense counsel, C.A. Okala, SAN, sued for the bail of the defendants. Justice B. Bilikisu admitted the defendants to bail in the sum of N50,000,000 and a surety each in like sum. She adjourned the matter till June 4 , 2018 for trial.